T5 sensor light with intelligent auto dimming . 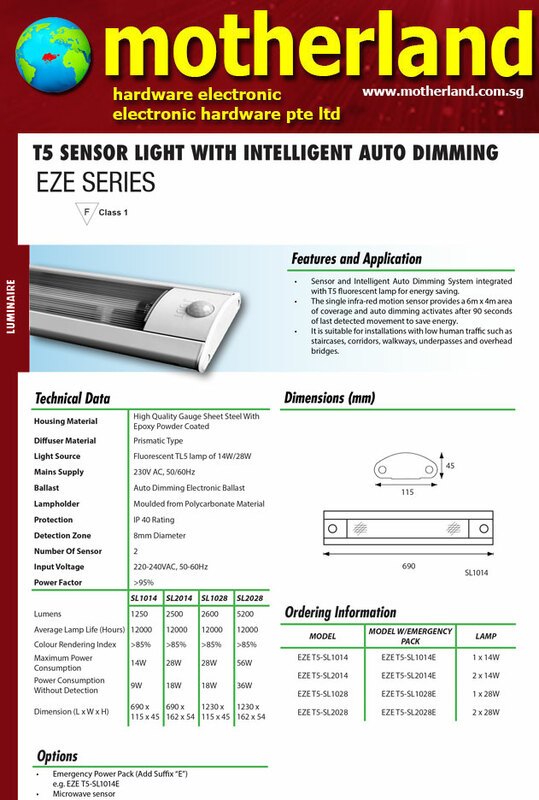 Sensor and Intelligent Auto Dimming System integrated with T5 fluorescent lamp for energy saving. • The single infra-red motion sensor provides a 6m x 4m area of coverage and auto dimming activates after 90 seconds of last detected movement to save energy. • It is suitable for installations with low human traffic such as staircases, corridors, walkways, underpasses and overhead bridges. .